The Traditionally quiet Steelers changed their ways after the 2013 season as general manager Kevin Colbert was unusually busy this year. The team added LeGarrette Blount as insurance behind Le’Veon Bell and Lance Moore, who will replace Jerricho Cotchery. On defense safety Mike Mitchell figures to be a starter alongside Troy Polamalu in the secondary. Overall, the Steelers are in a good place to build on their back to back 8-8 seasons, and will be in contention for a playoff spot in 2014. The Pittsburgh offense was one of the most productive Steelers units of recent memory. 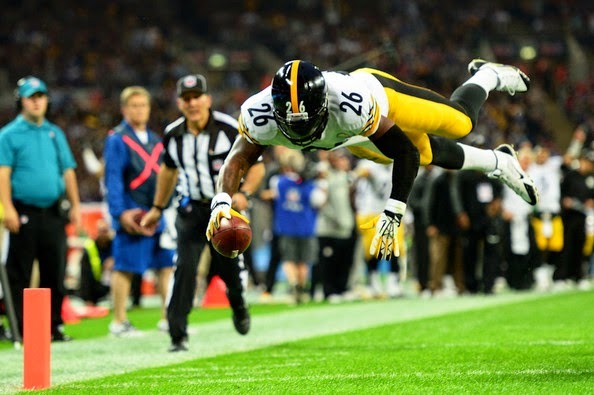 The team brings back cornerstone players in Ben Roethlisberger, Le'Veon Bell, Antonio Brown and Heath Miller and have also added veterans LeGarrette Blount and Lance Moore. However, they lost two viable wide receivers in Emmanuel Sanders and Jericho Cotchery. Therefore, we see the emergence of second year WR Markus Wheaton as a real need for this team and without significant progress from him, we expect the Steelers as a middle of the road offense. The Pittsburgh defense ranked 14th in the NFL in points allowed, and 13th in the league in yards allowed in 2013, which is below their normal standards. To address this problem, the Steelers drafted Ryan Shazier and Stephon Tuitt to help out in the front seven. We expect a healthy defense to contribute as a top 10 DST in redraft, and expect both inside linebackers and both safeties in this defense to be solid in IDP leagues.